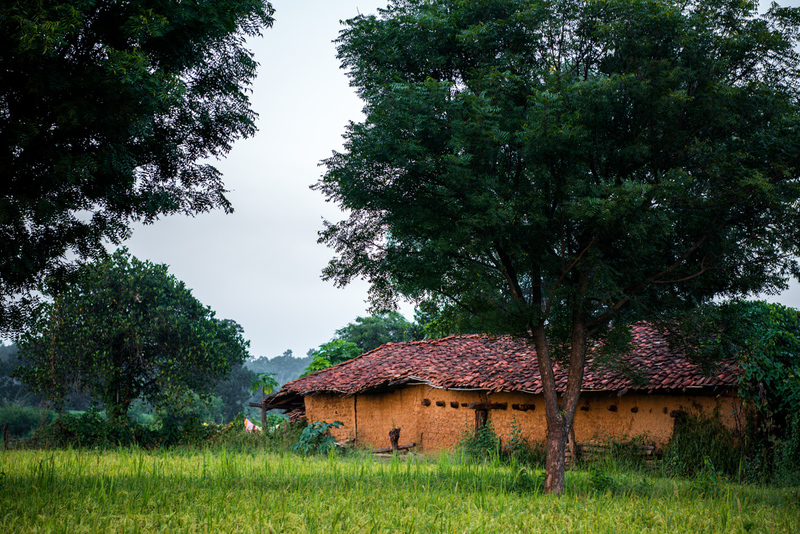 Mud homes with sloping, tiled roofs are a common sight in the Madhya Pradesh countryside. 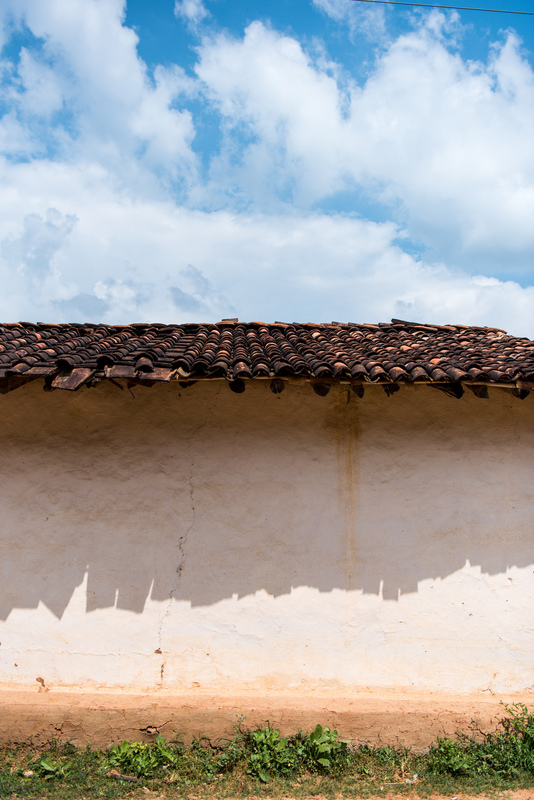 While the colour of the paint on homes varies regionally, the clay-tiled roofs are very similar. Shelters for cattle are also built alongside. 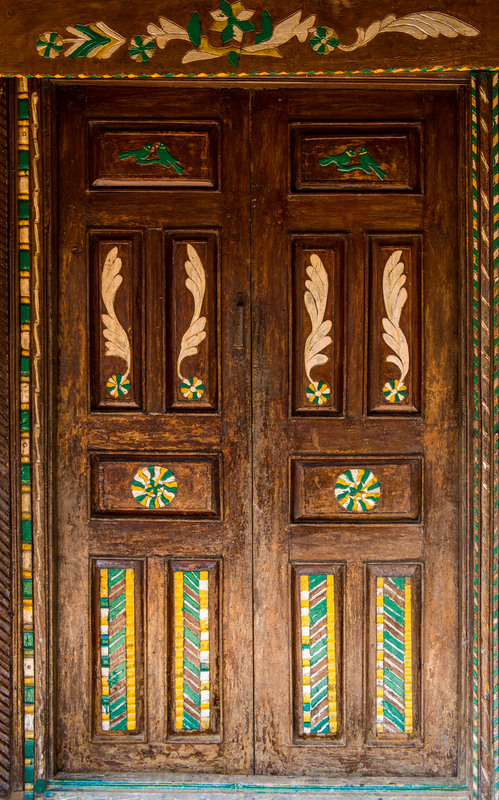 Some tribal communities decorate the external walls of their homes with patterns or animals that are important to their culture. In the front porch of homes, families engage in their craft work. Windows are practically absent in these rural homes. In the absence of ventilation, smoke from the kitchen goes out through the interlocking earthen tiled roofs and the gaps between roof and walls. Implements are basic, and hand measurements are used for the construction of these structures. Such vernacular architecture is fast disappearing across the country, as people now move to building more stable and permanent brick and cement homes. 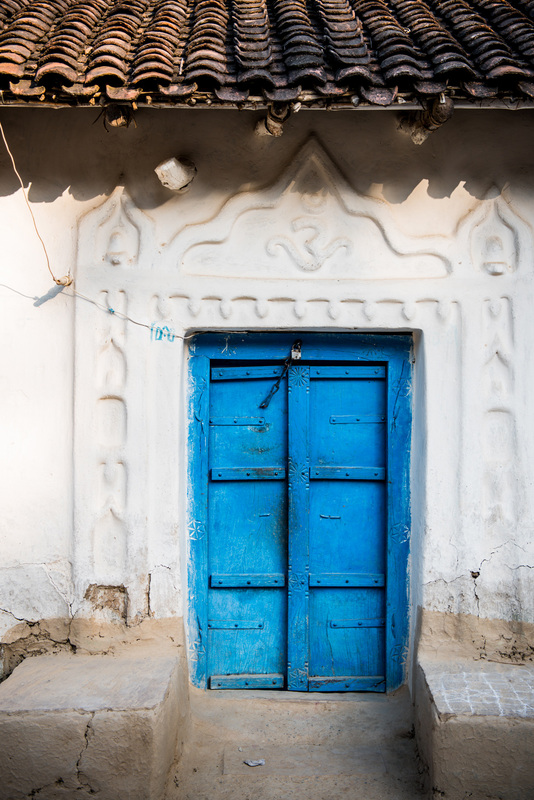 A home with blue doors and traditional border designs in Ichol village. Some of the older homes in Ichol feature mud-relief patterns around the entrance. 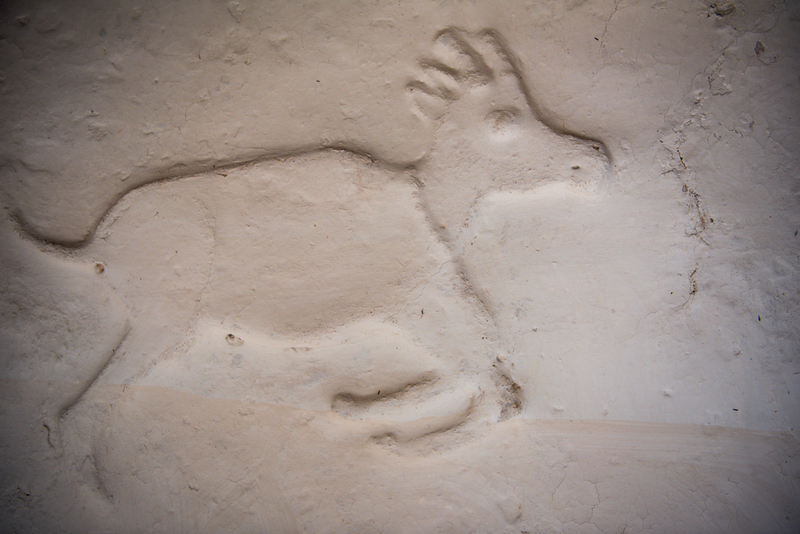 A design of a deer embellished into the wall of a home in Ichol village. A woman reinforces mud onto the otla, or platform around her village home. Windows are often not included in traditional structures. 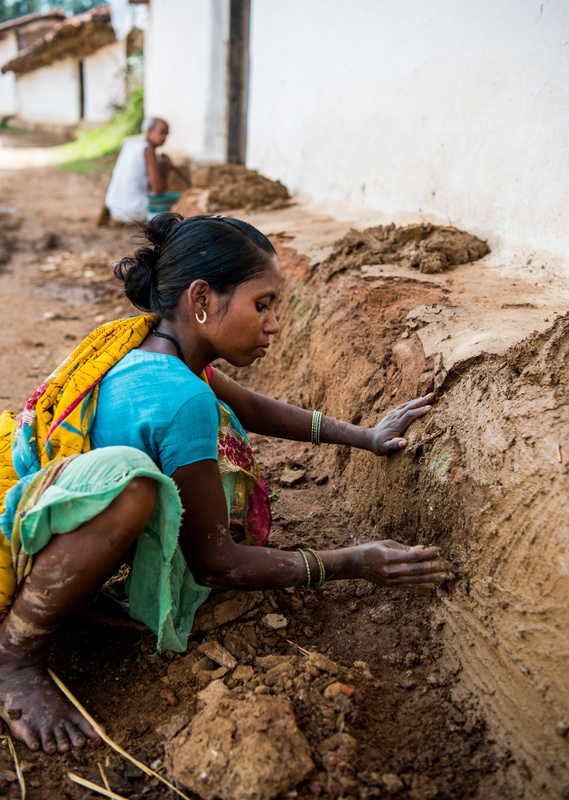 At Mardhari village in Bandhavgarh, baked earthen tiles are used to lay sloping roofs. 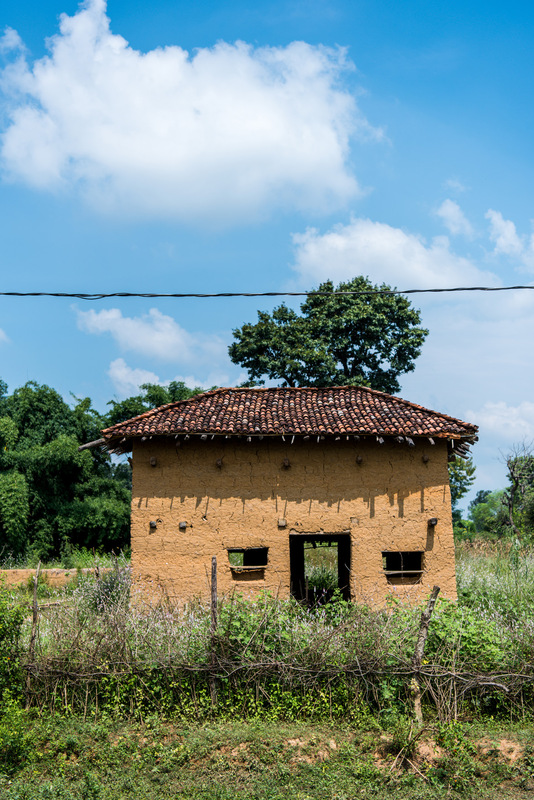 At Sarekha village in Kanha, a mud structure is supported by a timber framework. 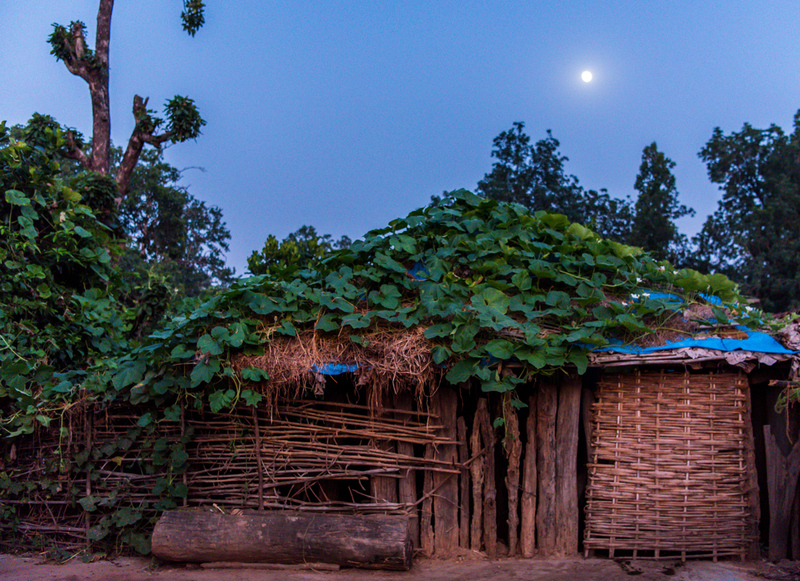 At Mardhari village in the buffer zone of Bandhavgarh National Park, vegetables like pumpkin are grown on the roofs of homes and cattle sheds. Colourful designs adorn the entrance gate to the home of a Baiga family in Lagma village, Kanha. Khaprael, or baked earthen tiles, have more or less replaced the thatched roofs more common in the past.